Administrative Assembly is sponsoring their annual Food for Finals for students. 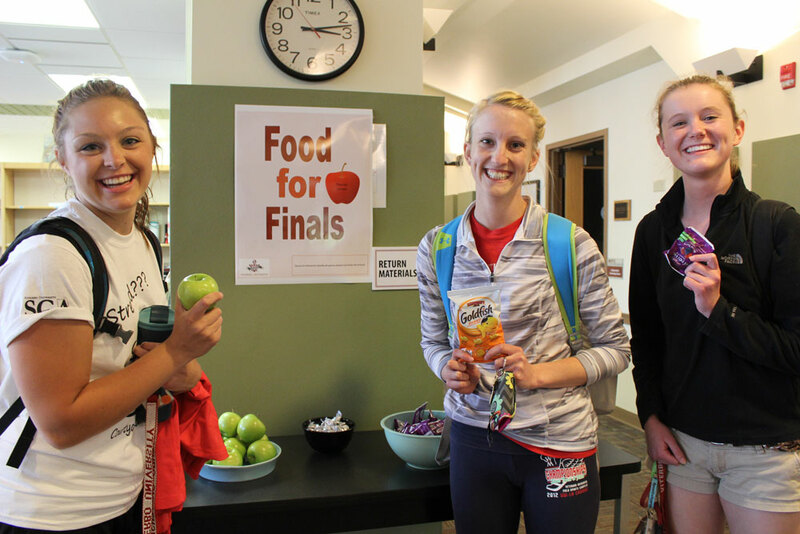 Four locations will be available during finals week for students to grab a snack as they study for their exams. Viterbo employees are invited to donate individually bagged treats, prepackaged snacks, and nonrefrigerated items. Monetary donations are also welcome. Monetary donations can be sent in a sealed envelope via intra-campus mail to Mary Mormann in Murphy Center 510. Food donations can be dropped off at the Copy Center, the library, outside Murphy Center 379, and the School of Nursing Building office. Donations will be accepted Monday, Dec. 3–Friday, Dec. 7. Freshly baked items may be dropped off in Murphy Center 377 on Monday, Dec 10 until 10 a.m.